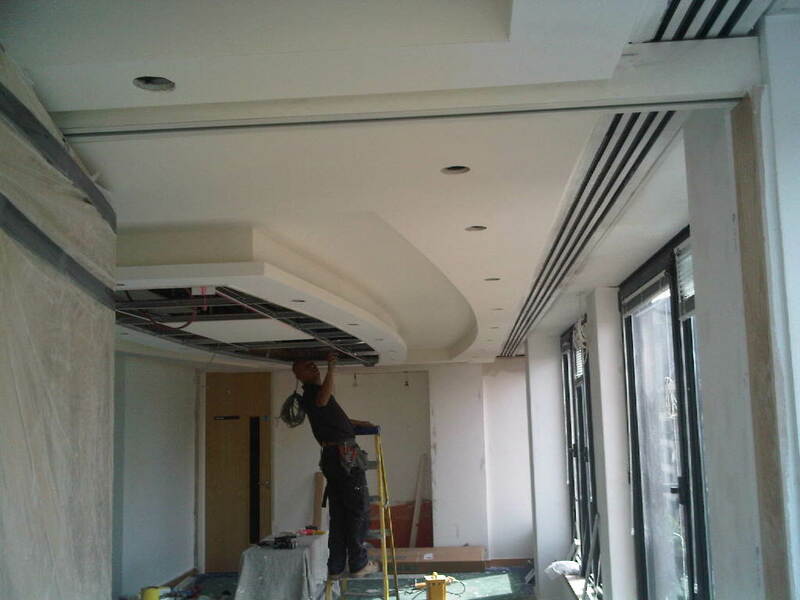 This project involved the installation of new partitioning and ceilings over four floors of offices for Saudi Arabian Airlines. 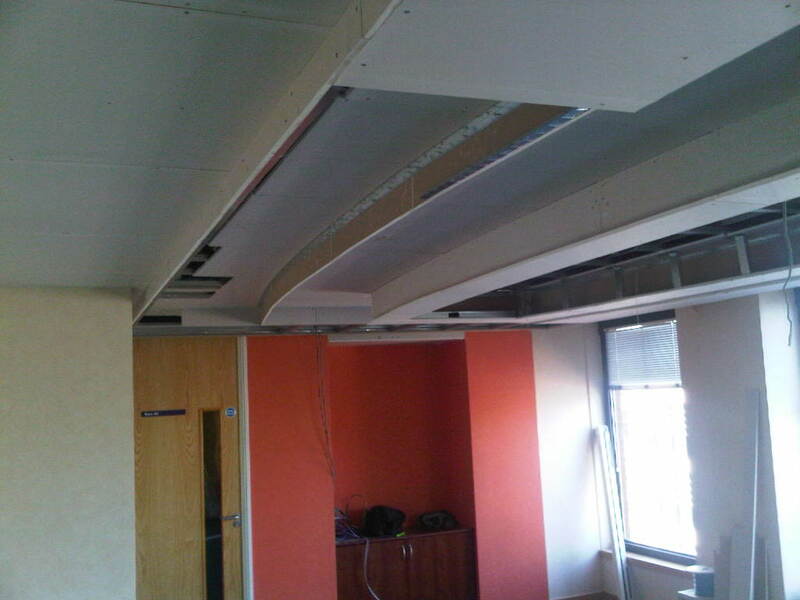 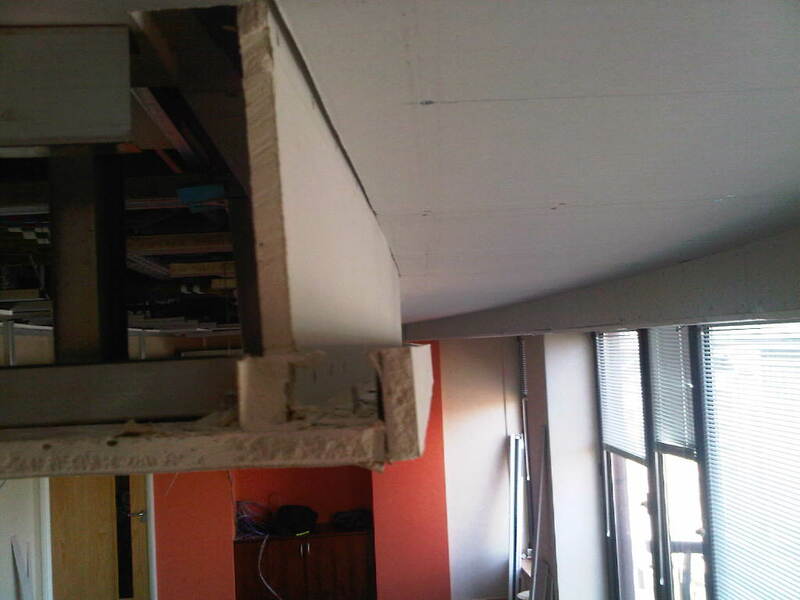 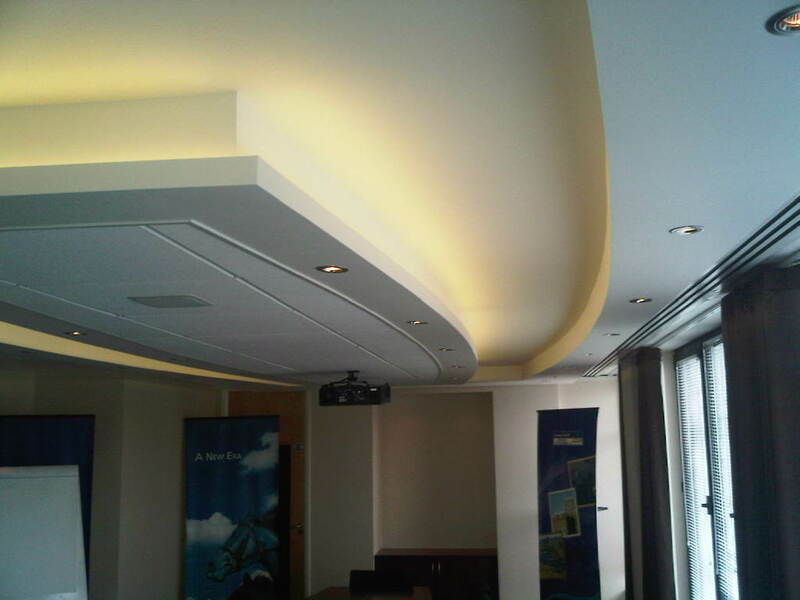 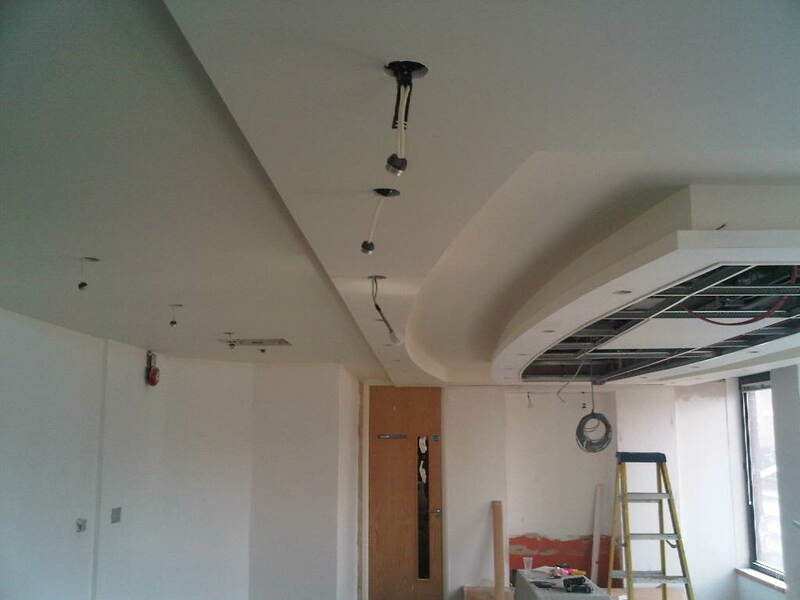 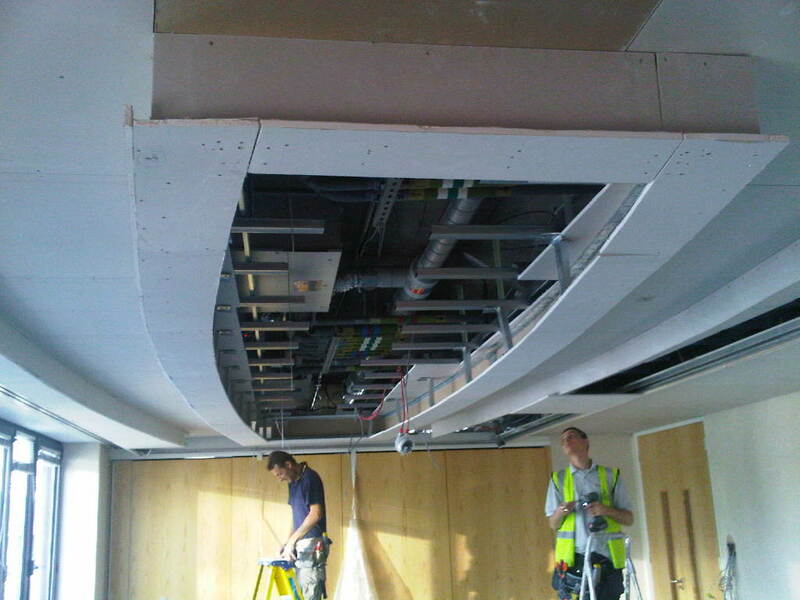 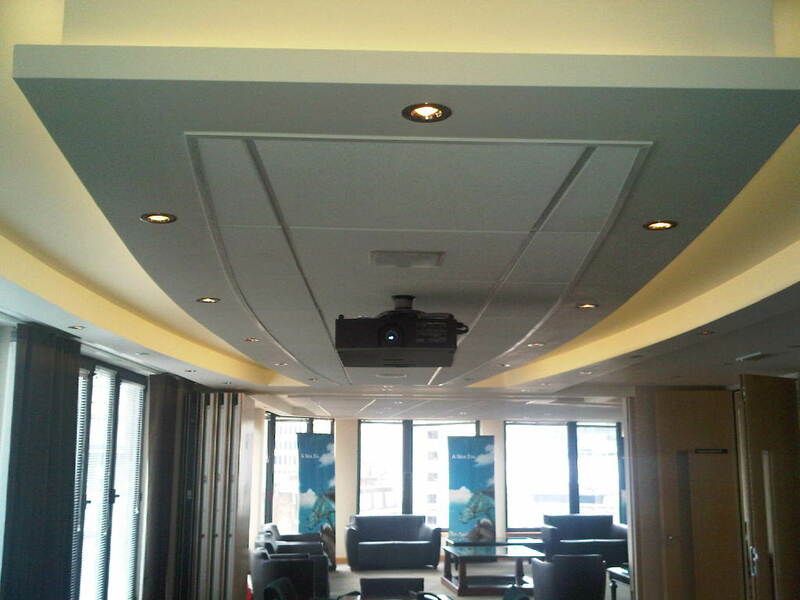 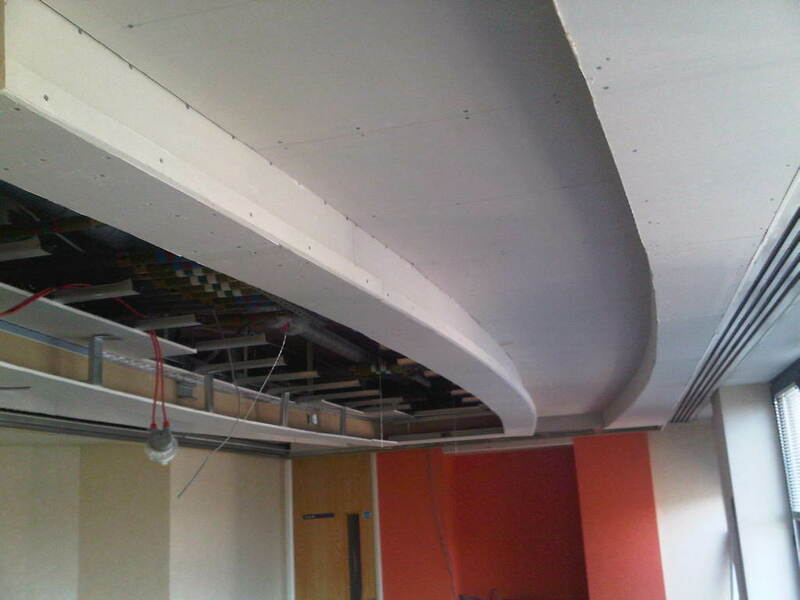 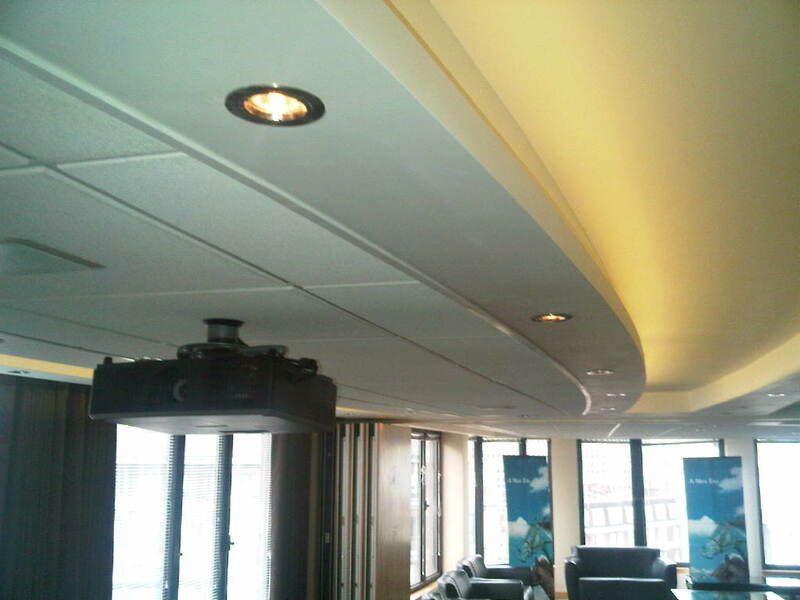 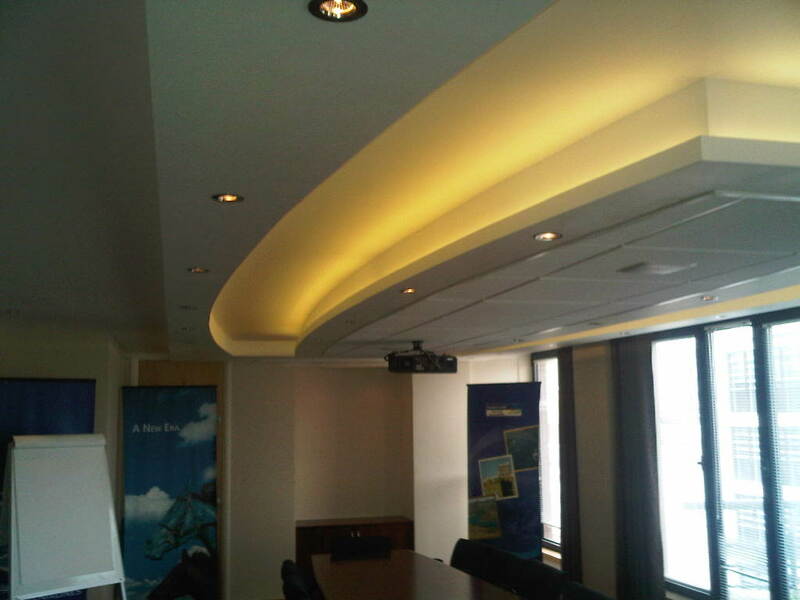 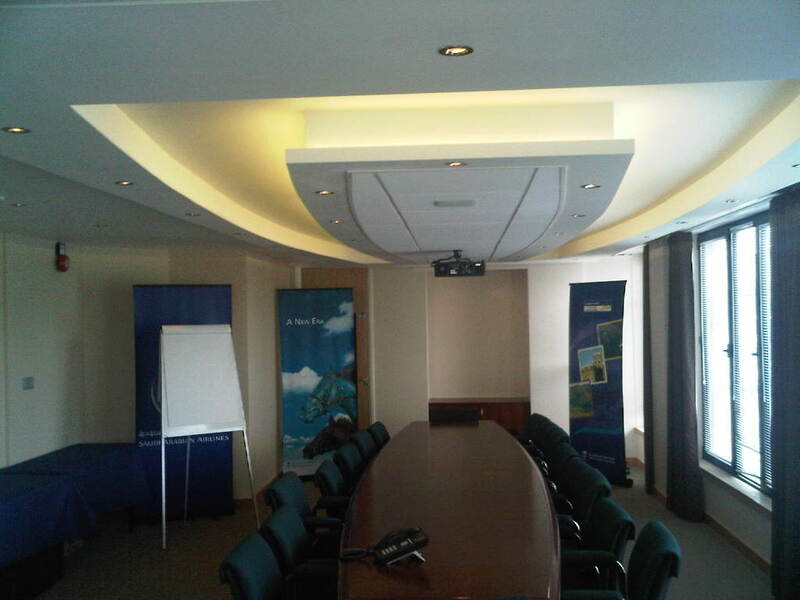 The pictures above show the bespoke ceiling that we installed into the director’s meeting room. 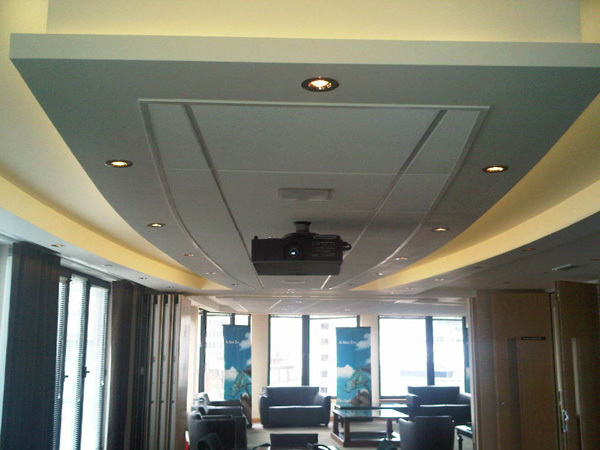 This bespoke ceiling mirrors the shape of the boardroom table below and includes recessed lighting and the wiring for a projector.